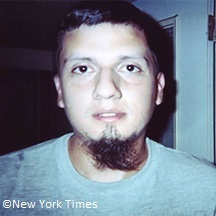 U.S. citizen Bryant Neal Vinas is a convert to Islam and a convicted foreign fighter for al-Qaeda who went on to become a cooperating witness in U.S. investigations of the terror group. In September 2008, Vinas participated in al-Qaeda attacks against U.S. Army bases in Afghanistan in order to kill U.S. soldiers. He was arrested in Peshawar, Pakistan, in November 2008, and transferred to U.S. custody. In January 2009, he pled guilty in a New York federal court to conspiracy to murder U.S. nationals, providing material support to a foreign terrorist organization, and receiving military-type training from a foreign terrorist organization.“One American's journey from Long Island to al Qaeda,” CNN, accessed August 17, 2018, http://www.cnn.com/2010/CRIME/05/11/timeline.bryant.vinas/index.html; “Sealed Pages of Transcript Proceedings,” Nicholas G. Garaufis, U.S.D.J., January 28, 2009, p. 31; Paul Cruickshank, Nic Robertson and Ken Shiffman, “From Long Island to Lahore: The plot to bomb New York,” CNN, May 21, 2010, http://www.cnn.com/2010/CRIME/05/14/bryant.neal.vinas.part2/index.html. While incarcerated, Vinas cooperated with U.S. authorities and provided helpful intelligence and insights into al-Qaeda that allowed the government to disrupt the terror group’s operations. He was released from federal prison in 2017.Adam Goldman, “Service to Both Al Qaeda and U.S., With Fate Hanging in the Balance,” New York Times, May 15, 2017, https://www.nytimes.com/2017/05/15/us/politics/service-to-both-al-qaeda-and-us-and-a-fate-hanging-in-the-balance.html. U.S. prosecutors have called Vinas the “single most valuable cooperating witness” in disrupting al-Qaeda operations.Adam Goldman, “Service to Both Al Qaeda and the U.S., With Fate Hanging in the Balance,” New York Times, May 15, 2017, https://www.nytimes.com/2017/05/15/us/politics/service-to-both-al-qaeda-and-us-and-a-fate-hanging-in-the-balance.html?module=inline. Directly after high school, Vinas enlisted in the U.S. Army, though he spent just one month in boot camp between March 12, 2002, and April 11, 2002, before he quit and was ultimately discharged. Following his discharge, Vinas was reportedly dispirited and became inquisitive of Islam, leading him to read the Quran and study the Arabic language. He eventually converted to Islam at a mosque in Queens, New York.Paul Cruickshank, Nic Robertson, and Ken Shiffman, “The Radicalization of an all-American,” CNN, May 15, 2010, http://www.cnn.com/2010/CRIME/05/13/bryant.neal.vinas.part1/; Sebastian Rotella And Josh Meyer, “U.S.-born militant who fought for Al Qaeda is in custody,” Los Angeles Times, July 23, 2009, http://articles.latimes.com/2009/jul/23/nation/na-american-jihad23; Adam Goldman, “He Turned on Al Qaeda and Aided the U.S. Now He’s on Food Stamps and Needs a Job,” New York Times, March 6, 2018, https://www.nytimes.com/2018/03/06/us/politics/bryant-neal-vinas-terrorism-cooperation-fbi-witness-protection.html. Vinas was largely self-radicalized on the Internet, according to U.S. authorities.William K. Rashbaum and Souad Mekhennet, “L.I. Man Helped Qaeda, Then Informed,” New York Times, July 22, 2009, http://www.nytimes.com/2009/07/23/nyregion/23terror.html?hp&_r=0. When Vinas began to attend mosques in the greater New York City area, he befriended Ahmad Zarinni, who allegedly introduced him to the now-defunct Islamic Thinkers Society (ITS). ITS was a reported spin-off of the banned British group al-Muhajiroun, cofounded by convicted ISIS supporter Anjem Choudary. Vinas was increasingly influenced by hardliner individuals including Joseph Leonard Cohen (a.k.a. Yousef al-Khattab), the main ideologue of ITS and cofounder of the website and extremist group Revolution Muslim, led by Jesse Morton (a.k.a. Younes Abdullah Muhammad) at that time. Vinas also met a Pakistani man, Ahmer Qayyum, through ITS circles.“One American's journey from Long Island to al Qaeda,” CNN, accessed August 17, 2018, http://www.cnn.com/2010/CRIME/05/11/timeline.bryant.vinas/index.html; “Sealed Pages of Transcript Proceedings,” Nicholas G. Garaufis, U.S.D.J., January 28, 2009, p. 31; “Zachary Chesser’s Radical Affiliations,” Start UMD, accessed August 17, 2018, https://www.start.umd.edu/sites/default/files/files/publications/research_briefs/ChesserLinkAnalysis.pdf; “Arrest of British Islamic radicals might spur attacks against Western targets,” Trib Live, September 27, 2014, http://triblive.com/usworld/nation/6868018-74/group-islamic-british; James Taranto, “The Making - and Unmaking - of a Jihadist,” Wall Street Journal, May 4, 2018, https://www.wsj.com/articles/the-makingand-unmakingof-a-jihadist-1525472372. Vinas flew to Pakistan in September 2007 with the intention of joining a jihadist group to fight U.S. soldiers in Afghanistan.“One American's journey from Long Island to al Qaeda,” CNN, accessed August 17, 2018, http://www.cnn.com/2010/CRIME/05/11/timeline.bryant.vinas/index.html. Vinas later told the New York Times that he had become estranged from his family and had fallen on economic hardship, both of which contributed to his decision to go abroad to join al-Qaeda. He said he believed that he had a moral duty to defend Muslims by joining the war in Afghanistan.Adam Goldman, “He Turned on Al Qaeda and Aided the U.S. Now He’s on Food Stamps and Needs a Job,” New York Times, March 6, 2018, https://www.nytimes.com/2018/03/06/us/politics/bryant-neal-vinas-terrorism-cooperation-fbi-witness-protection.html. Vinas met Qayyum in Lahore, who connected him to unaffiliated militants fighting on the Afghanistan-Pakistan border, according to U.S. officials. They attempted to carry out an attack against a U.S. base in Afghanistan, but aborted the plan after they saw U.S. aircrafts patrolling the area. Following this incident, Vinas vowed to become a suicide bomber for al-Qaeda and returned to Peshawar for training. Between 2007 and 2008, Vinas made several trips to the Federally Administered Tribal Areas (FATA) and officially pledged allegiance to al-Qaeda in March 2008. Throughout 2008, Vinas attended three al-Qaeda training courses in the mountains of Waziristan, including training in the construction of explosives.“One American's journey from Long Island to al Qaeda,” CNN, accessed August 17, 2018, http://www.cnn.com/2010/CRIME/05/11/timeline.bryant.vinas/index.html. He met senior al-Qaeda leaders, including financial chief Mustafa Abu al-Yazid (a.k.a. Abu Saeed al-Masri) and Saleh al-Somali, then head of al-Qaeda’s external operations and planner of the 2009 foiled New York City subway attack.“Senior al Qaeda leader killed in Pakistan,” Reuters, August 12, 2008, https://www.reuters.com/article/idUSSP48519; Eric Schmitt, “American Strike Is Said to Kill a Top Qaeda,” New York Times, May 31, 2010, https://www.nytimes.com/2010/06/01/world/asia/01qaeda.html; U.S. Department of Justice/Office of Public Affairs, “Al Qaeda Operative Convicted by Jury in One of the Most Serious Terrorist Plots Against America since 9/11,” May 1, 2012, https://www.justice.gov/opa/pr/al-qaeda-operative-convicted-jury-one-most-serious-terrorist-plots-against-america-911. According to Vinas’s own statements, he provided information to the terror group about the Long Island Rail Road (LIRR) in order to help plan an attack on New York’s Penn Station.“One American's journey from Long Island to al Qaeda,” CNN, accessed September 2, 2016, http://www.cnn.com/2010/CRIME/05/11/timeline.bryant.vinas/index.html; Adam Goldman, “Service to Both Al Qaeda and U.S., With Fate Hanging in the Balance,” New York Times, May 15, 2017, https://www.nytimes.com/2017/05/15/us/politics/service-to-both-al-qaeda-and-us-and-a-fate-hanging-in-the-balance.html. He also suggested attacking one of the United States’ largest retail chains, Walmart. He conspired to hide explosives in large products that could be returned to the store, such as television sets.Paul Cruickshank, Nic Robertson, and Ken Shiffman, “The Radicalization of an all-American,” CNN, May 15, 2010, http://www.cnn.com/2010/CRIME/05/13/bryant.neal.vinas.part1/. Vinas later recalled that he suffered from “terrible boredom” while living with al-Qaeda waiting for a mission.Bryant Neal Vinas and Mitchell Silber, “Al-Qa`ida’s First American Foreign Fighter after 9/11,” CTC Sentinel, September 2018, https://ctc.usma.edu/al-qaidas-first-american-foreign-fighter-9-11/. In September 2008, Vinas participated in two al-Qaeda attacks against U.S. military bases in Afghanistan near the Pakistan border. According to Vinas, he and other militants aborted the first mission. In the second attack, occurring a few days later, Vinas fired rockets on a U.S. military base. The rockets reportedly missed their intended target, and, according to Vinas, the “attack failed.”“Sealed Pages of Transcript Proceedings,” Nicholas G. Garaufis, U.S.D.J., January 28, 2009, p. 31. The following month, Vinas traveled to Peshawar to find a wife. He was arrested there by Pakistani authorities and transferred to the control of the United States. U.S. authorities charged Vinas with conspiracy to murder U.S. nationals, providing material support to a foreign terrorist organization, and receiving military-type training from a foreign terrorist organization.“One American's journey from Long Island to al Qaeda,” CNN, accessed September 2, 2016, http://www.cnn.com/2010/CRIME/05/11/timeline.bryant.vinas/index.html. He pled guilty to all charges in a federal court on January 29, 2009.“One American's journey from Long Island to al Qaeda,” CNN, accessed September 2, 2016, http://www.cnn.com/2010/CRIME/05/11/timeline.bryant.vinas/index.html. “Terrorist Plots Targeting New York City,” NYPD, accessed September 4, 2016, http://www.nyc.gov/html/nypd/html/pr/plots_targeting_nyc.shtml. Vinas was released from federal prison in August 2017. During his eight years of incarceration, he cooperated with U.S. authorities and provided useful intelligence to help disrupt al-Qaeda’s activities. He disclosed the plot to attack the LIRR, gave names of jihadist sympathizers living in New York, and provided details on al-Qaeda’s structure, communications systems, training, and tactics. Information provided by Vinas also contained details about al-Qaeda operatives’ housing accommodations and courier networks in the tribal areas of Pakistan.Aaron Cooper and Eric Levenson, “American al Qaeda recruit to be released from prison,” CNN, May 11, 2017, https://www.cnn.com/2017/05/11/us/bryant-neal-vinas-sentence/index.html; Adam Goldman, “Service to Both Al Qaeda and U.S., With Fate Hanging in the Balance,” New York Times, May 15, 2017, https://www.nytimes.com/2017/05/15/us/politics/service-to-both-al-qaeda-and-us-and-a-fate-hanging-in-the-balance.html; Paul Cruickshank, Nic Robertson and Ken Shiffman, “From Long Island to Lahore: The plot to bomb New York,” CNN, May 21, 2010, http://www.cnn.com/2010/CRIME/05/14/bryant.neal.vinas.part2/index.html. Vinas reportedly aided in more than 30 investigations.Adam Goldman, “He Turned on Al Qaeda and Aided the U.S. Now He’s on Food Stamps and Needs a Job,” New York Times, March 6, 2018, https://www.nytimes.com/2018/03/06/us/politics/bryant-neal-vinas-terrorism-cooperation-fbi-witness-protection.html. A senior U.S. counterterrorism official told CNN in 2010 that Vinas had provided “priceless information.”Paul Cruickshank, “Lawyers call for release of US terrorist who helped ‘dismantle’ al Qaeda,” CNN, May 6, 2017, https://www.cnn.com/2017/05/06/us/bryant-vinas-sentencing/index.html. According to the transcript of Vinas’s May 2017 sentencing hearing, “The Government reports that the information has been truthful, complete, and accurate and was critical in identifying new leads and targets for investigation and supplementing and correcting the Government’s understanding of al-Qaeda.”“Transcript of Vinas’s Sentencing Hearing”, New York Times, May 15, 2017, https://www.nytimes.com/interactive/2017/05/15/us/document-Vinas-Sentencing-Transcript.html. Vinas told the court that he wanted to pursue a career in counterterrorism.Paul Cruickshank, “Lawyers call for release of US terrorist who helped ‘dismantle’ al Qaeda,” CNN, May 6, 2017, https://www.cnn.com/2017/05/06/us/bryant-vinas-sentencing/index.html. Vinas was sentenced to time served and three additional months in prison to be followed by supervised release.Adam Goldman, “Service to Both Al Qaeda and the U.S., With Fate Hanging in the Balance,” New York Times, May 15, 2017, https://www.nytimes.com/2017/05/15/us/politics/service-to-both-al-qaeda-and-us-and-a-fate-hanging-in-the-balance.html?module=inline. Vinas’s attorney, federal prosecutors, and the FBI agents assigned to his case sought witness protection for Vinas. Despite the support, the Justice Department’s Office of Enforcement Operations rejected Vinas’s application for witness protection. According to a senior government official quoted by the New York Times, there were concerns of potential conflict with officers in charge of the program and that Vinas would not adapt to the program. Vinas currently lives in New York City under close U.S. government supervision.Adam Goldman, “He Turned on Al Qaeda and Aided the U.S. Now He’s on Food Stamps and Needs a Job,” New York Times, March 6, 2018, https://www.nytimes.com/2018/03/06/us/politics/bryant-neal-vinas-terrorism-cooperation-fbi-witness-protection.html. Vinas co-authored a piece with CEP advisory board member Mitchell Silber in the September 2018 issue of the CTC Sentinel about the former’s radicalization and rehabilitation.Bryant Neal Vinas and Mitchell Silber, “Al-Qa’ida’s First American Foreign Fighter after 9/11,” CTC Sentinel, September 2018, https://ctc.usma.edu/al-qaidas-first-american-foreign-fighter-9-11/. Ben Yameen al-Kanadee“Superseding Information: United States of America against Bryant Neal Vinas,” U.S. District Court of Eastern District of New York, July 22, 2009, 1. Place of Birth Queens, New York City, U.S.
Place of Residence New York City, U.S.
U.S. citizen Bryant Neal Vinas is a convert to Islam and a convicted foreign fighter for al-Qaeda who went on to become a cooperating witness in U.S. investigations of the terror group.